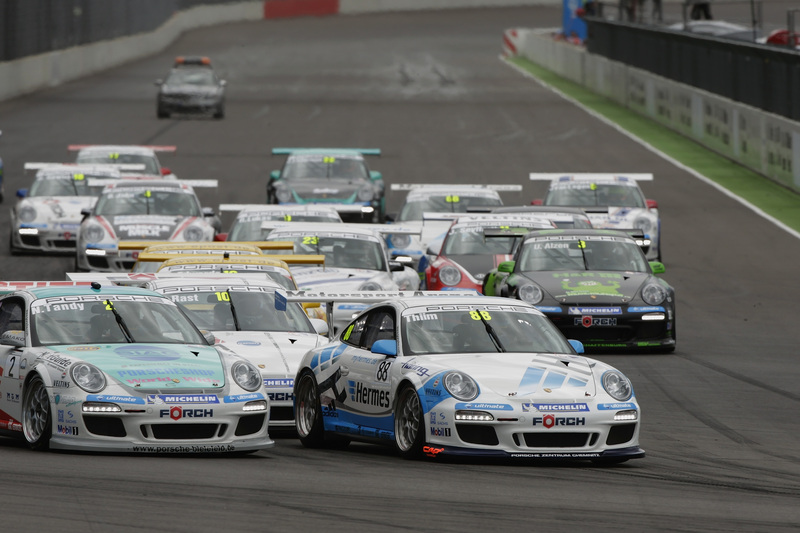 Porsche Carrera Cup Deutschland race report: Nicki Thiim narrowly wins turbulent race! Stuttgart. 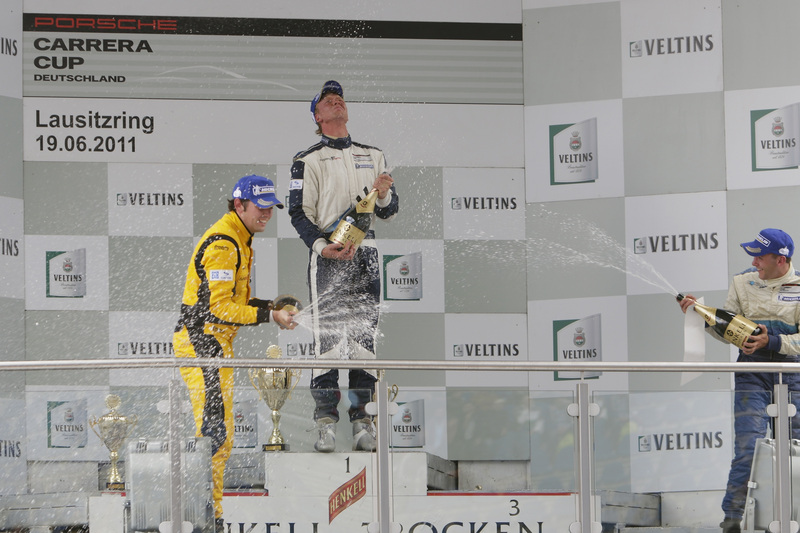 Fourth race, fourth winner – and 24 laps of high suspense: The Lausitzring race of the Porsche Carrera Cup Deutschland was a real thriller. 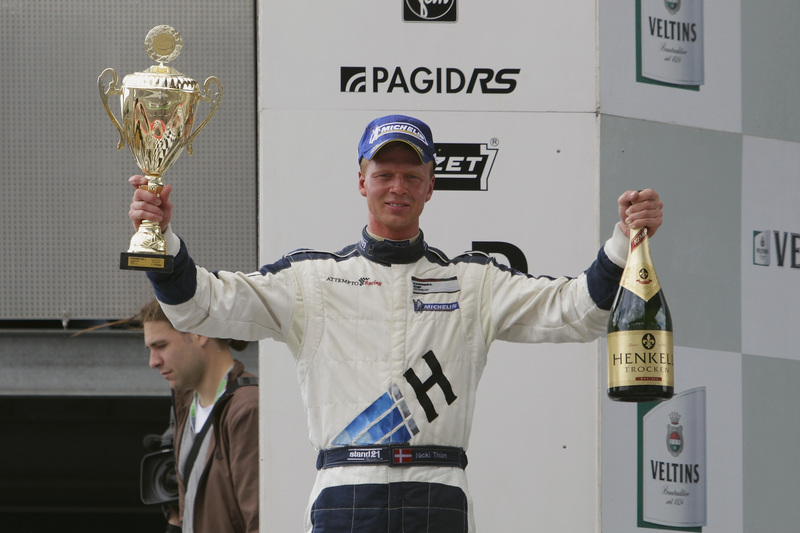 Cup-returnee Nicki Thiim from Denmark won his first race at Germany’s one-make series brilliantly but by a very narrow margin. Only 0.3 seconds separated the Hermes Attempto pilot from Sean Edwards (Great Britain, Deutsche Post by tolimit) in second. Third place went to Nick Tandy. 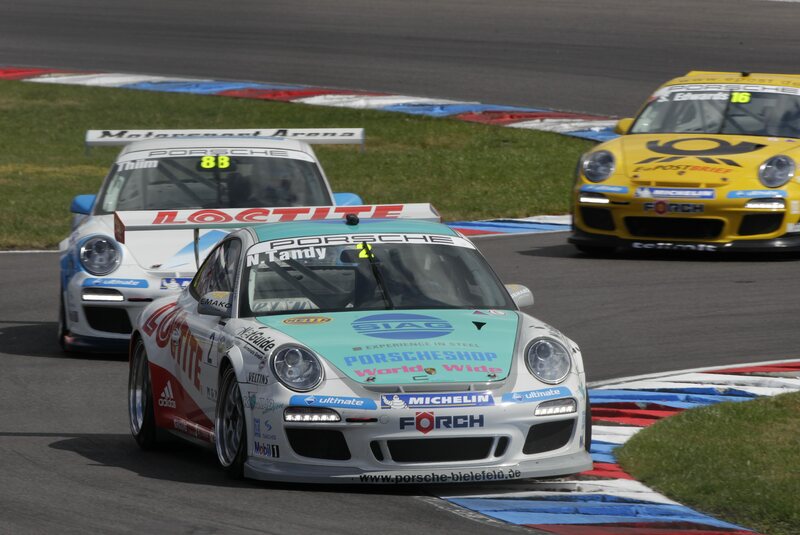 Driving for Konrad Motorsport, the Briton heads to round five – which takes place at the Porsche Carrera World Cup as the season highlight – as points’ leader. On 25 June at the Nürburgring, more than 100 competitors from one-make race series worldwide tackle the greatest Porsche race in history. Fans were treated to gripping racing already at the start of round four on the 3.748 kilometre Lausitzing. Tandy, who started from fourth, took the outside line and in the first corner surprised pole-sitter Thiim and second in the qualifying, Supercup champion, René Rast (Germany, Förch Racing), by passing them. Behind the leading trio a turbulent scene developed. The first victim was reigning champ Nicolas Armindo. The Frenchman (Hermes Attempto Racing) became sandwiched between two opponents and landed in the gravel trap. Two laps later it was René Rast’s turn: out after a light nudge from Robert Renauer (Germany, Herberth Motorsport). Uwe Alzen (Germany, PZ Aschaffenburg Uwe Alzen Automotive) retired as a result of the collision with Armindo. The fight at the top was extremely gripping. At times, only six-hundredths of a second separated Tandy, Thiim and Edwards The leader was finding it increasingly difficult to fend off the two rivals. In the ninth lap came the crunch point. At the end of the back straight, Tandy ran with understeer too far to the outside, Thiim and Edwards slipped through and were able to pull away from Tandy. 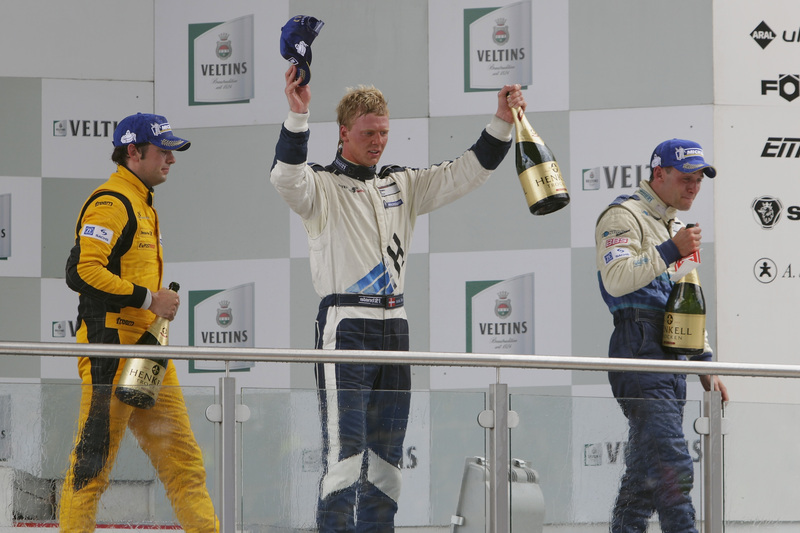 The current points’ leader then came under pressure from Zandvoort winner Jeroen Bleekemolen (Team Deutsche Post by tolimit) and Martin Ragginger (Schnabl Engineering). The Dutchman and the Austrian delivered a fair fight over much of the sprint, with Bleekemolen putting in an immaculate drive to hold the upper hand. Fourth at the flag put him in second overall, but he shares the same points’ tally as his tolimit teammate Edwards in third, followed by Ragginger in fourth. 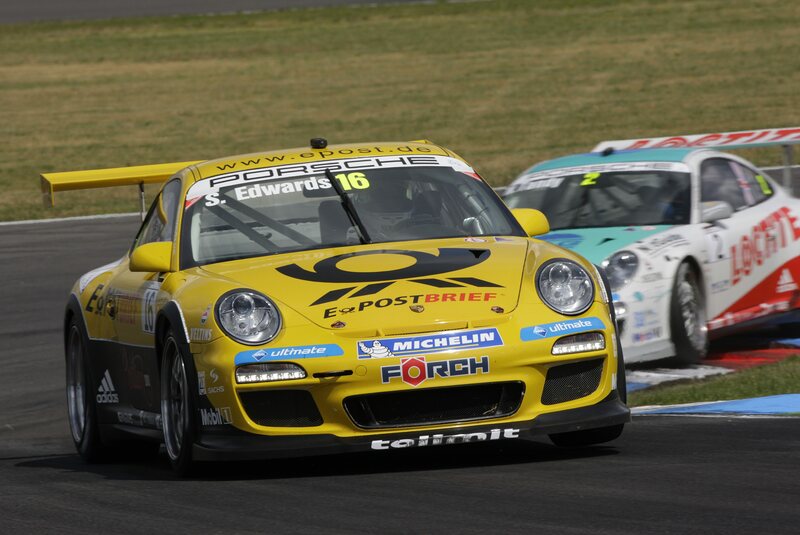 Three Carrera Cup newcomers profited from the retirements. 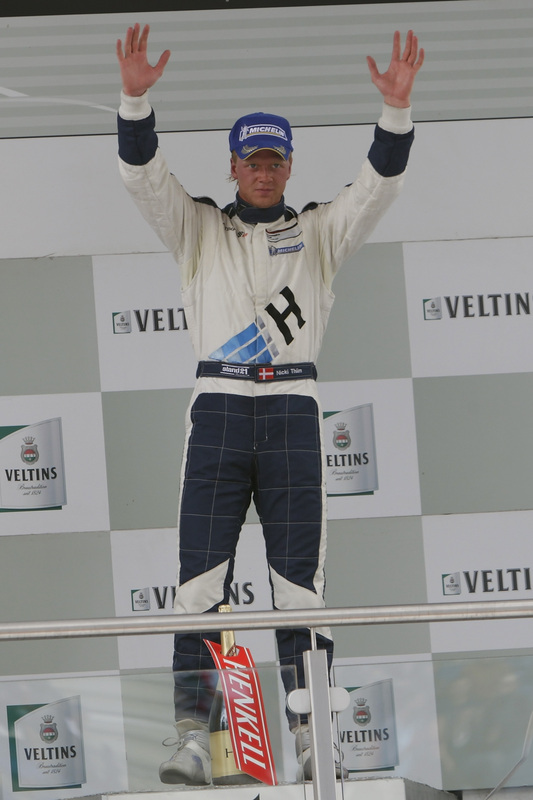 David Jahn from Germany finished sixth in the Lausitz, and brought home a better result than his team boss and colleague Uwe Alzen, and his second top ten result. The 2010-rookie Stefan Wendt (Germany) planted his Attempto Racing 911 on seventh ahead of specialist Jan Seyffarth (Germany, SMS Seyffarth Motorsport). 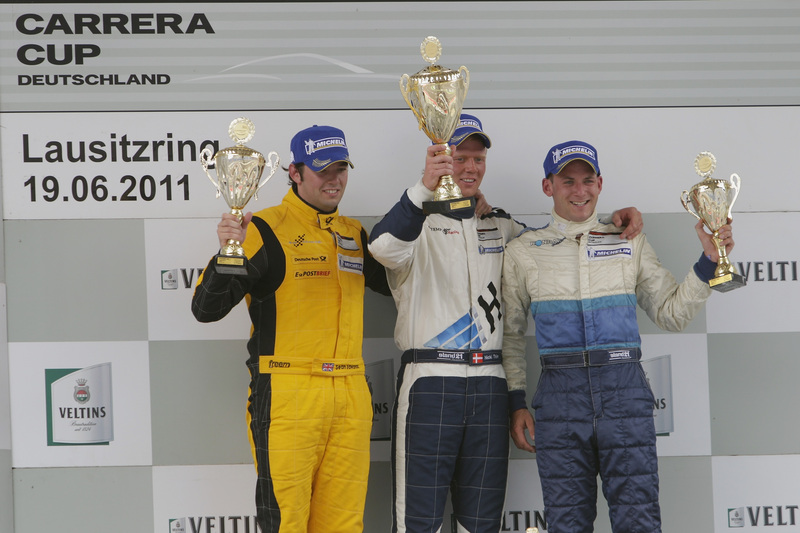 Two Cup debutants Philipp Frommenwiler (Switzerland, Attempto Racing) and Damian Sawicki (Poland, Förch Racing) celebrated their ninth and tenth place as if they were a victory. 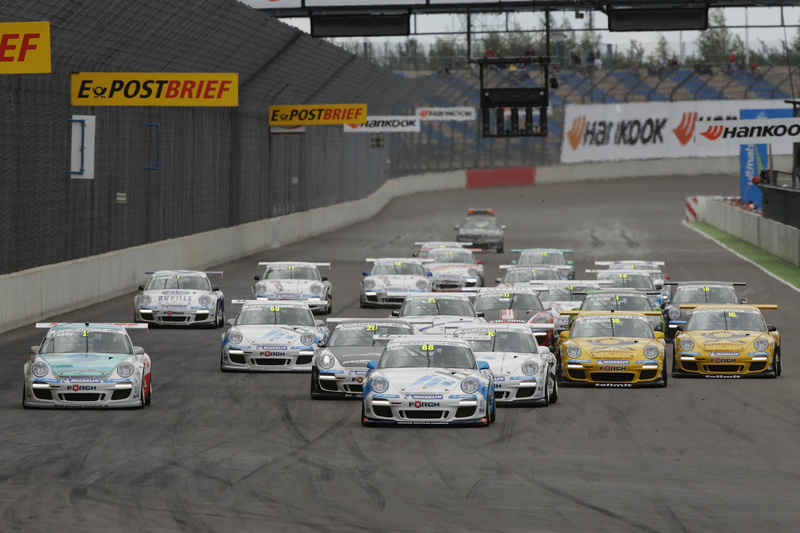 Round five of the Porsche Carrera Cup Deutschland takes place as part of the Porsche Carrera World Cup on 25 June on the Nürburgring (combination Grand Prix circuit/Nordschleife). That is the proper weblog for anyone who desires to search out out about this topic. You realize so much its virtually onerous to argue with you (not that I actually would need…HaHa). You undoubtedly put a brand new spin on a subject thats been written about for years. Great stuff, just nice! You seem to know much more than I do, I’d love to know your sources! I just discovered your website and now I am one of your followers. Another interesting post, Thanks for posting this info, it is unusual to read such high quality blog posts. I will bookmark your blog.